Our practice places a high value in ensuring our patients are educated throughout their treatment. 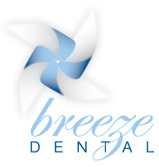 Please find questions commonly asked by our patients here at Breeze Dental. What are your Dental Services FAQ’s? Modern cosmetic dentistry treatments can dramatically change your appearance and boost your confidence. They include any dentistry treatments that aim to change the visual appeal of your smile. These include tooth whitening, dental veneers, crowns and bridges. At Breeze Dental, we provide the options of Zoom! WhiteSpeed in chair whitening, and Zoom! DayWhite take home kit. Veneers are porcelain shells that are placed on your natural teeth to fix teeth that are discoloured, worn down, chipped or misaligned. Dental crowns and bridges are designed to increase the strength and stability of damaged or broken teeth. Dental crowns are used for broken teeth, cracked teeth or where you have a large filling. Dental bridges are used in conjunction with crowns to span the space where there are missing teeth. I am missing one or more teeth. What are my options? For patients with missing teeth we recommend either full or partial dentures or implants. This will be dependent on the severity of your dental condition. We advise our patients to book in to see our team here at Breeze Dental for a comprehensive dental examination. If your teeth are cracked or damaged, we will usually recommend dental crowns, bridges or veneers. With the right mix of daily dental hygiene and regular visits to the dentist, no patient ever needs to lose their natural teeth. We recommend our patients schedule in for a dental visit every six months. When should my children start seeing the dentist? Most dentists recommend children start seeing the dentist from around three years of age. By developing healthy cleaning habits when your child is young, we stand a greater chance of ensuring your child keeps their natural teeth for life. I dread going to the dentist. Do you offer pain free treatments? While no dentist can claim treatment is completely pain free, modern dentistry has come a long way. Here at Breeze Dental we provide a range of virtually pain free solutions including Penthrox®. We are located at Shop 5, 19 Sir John Overall Drive in Helensvale. There is free parking available at the door in Gecko Court which is on the corner of Sir John Overall Drive and Lindfield Road. Disabled parking is available, and our practice is wheelchair accessible.